I've always wanted to talk about an oil that has been instrumental in my length retention regimen and has really been overlooked. I was going through a lovely Nigerian blog Naijagirlnextdoor and she talked about how she loved the oil and I was like exactly my thoughts!! !I had thought initially that the wonderful results I noticed when using the oil was a fluke since I wasn't using it alone but when I swap the coconut oil for the palm kernel oil, I do notice a difference. So what's this Nigerian Black Palm Kernel Oil (I love the moniker coined by Sandra)? 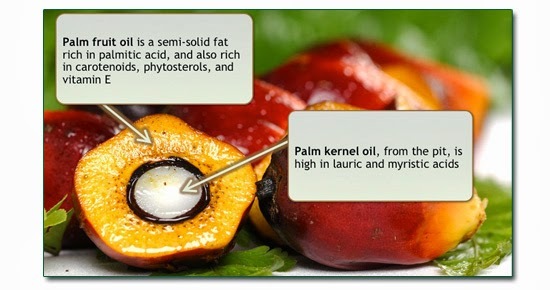 Palm oil comes from palm fruit, that is, it is extracted from the pulp of the oil palm. Palm kernel oil, on the other hand, comes from the stuff inside the pulp, called palm kernel. There are several methods of extracting palm kernel oil, but the traditional method is to heat the kernel in a dry pot till the oil shows up. The oil extracted in this way is blackish-brown and is not normally used in cooking but for traditional medicine and lubrication. Palm kernel oil is also extracted by the cold press method to give a light yellow to clear oil. Note: Palm oil and palm kernel oil are two different oils. Palm oil is the traditional cooking ingredient, the "red" one commonly sold in markets all over Nigeria. Black palm kernel oil is known locally as 'ude oji' and was traditionally used as a pomade for moisturising the hair and skin. 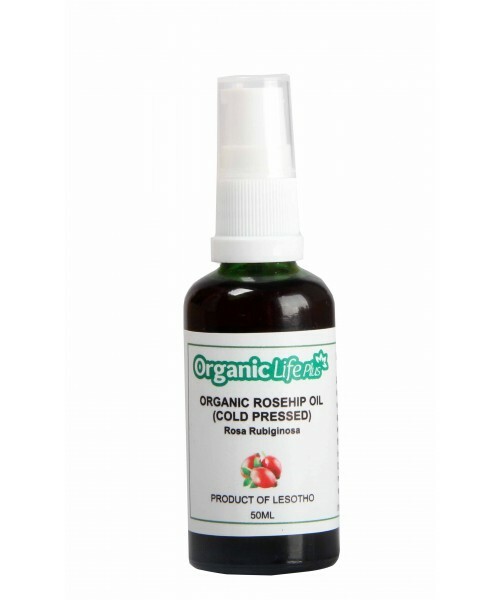 For babies with little or no hair growth on their head it is believed that regular application on the spot should stimulate the growth of healthy shiny hair. It is believed also to be a cure for epilepsy and constipation. Palm kernel oil has a strong perfumy nutty smell which brings out mixed reactions in people, some love it, some don't. I don't mind it at all ...sometimes it smells chocolatey but because the aromatic smell is a bit strong if used a lot, I use it a little at a time or add a bit of orange / lavender essential oils to it.....which doesn't really mask it ...in my opinion. Chemically, palm kernel oil is similar to coconut oil by having high concentrations of antibiotic lauric acid and myristic acids which enhances its absorbtion through skin and hair. Thus it penetrate the hair shaft strengthening and lubricating it from within making palm kernel oil a really good substitute for coconut oil. 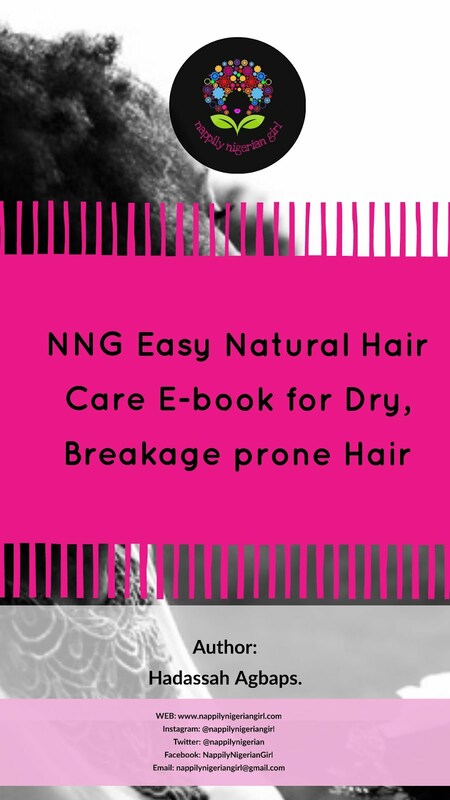 When I used Nigerian Black Palm Kernel Oil on my dry ends (I rotate between coconut and PKO) I notice that it doesn't take a lot of time for it to be fully absorbed and there is an improvement in suppleness of my ends. I know that oils aren't moisturisers so I always follow up with a fine mist of water for moisture and my hair is happy. I don't know if it's just me trying to see this but I noticed that my strands were harder to break when I pulled a shed strand between my fingers. I'll probably have to completely exclude all other oils from my regimen to really guage it's effect on hair growth and length retention. It is however a staple part of my Indian Oiling regimen with a Nigerian twist! I've also been using it on my edges mixed with castor oil because I believe the extra ash contents will keep my fine edges in good condition. 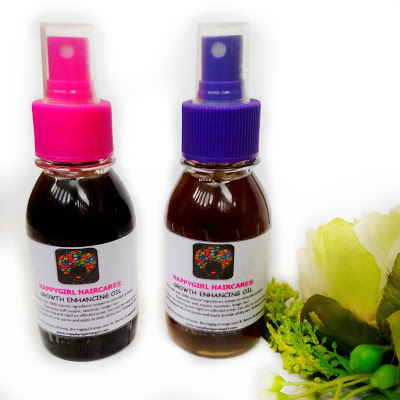 - is really an affordable alternative to JBCO and coconut oil.....yes! - does give my hair a nice luster that isn't greasy. 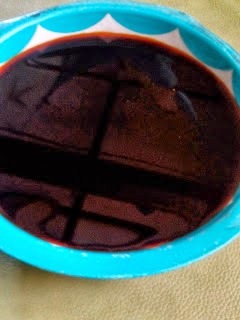 - does make a wonderful pre poo oil and I really love how it masks the smell of some of my strange concotions...lol! - I'm not bothered about my growth rate which I observed to be less than an inch per month...but no hurry. - I rarely get constipated nor have epilepsy...Thank God. - I'm wary of any oil going near my skin. I'm a walking oil factory already. - I rarely use heat. The only downside so far is I have to be really careful not to let it anywhere near my face or back because those areas are prone to acne and have really low tolerance for oily concotions. Has anyone used Nigerian Black Palm Kernel Oil? Did you like it, dislike it or was 'meh' about it? Thanks dear! Please do...you may even like it more! Ooooh thanks for mentioning me! I really do love this oil. Coincidentally I bought two more bottles today, one for a friend. Thanks for giving us more info about it. For those who are not so keen on the strong smell of the black oil, The Natural Nigerian sells the cold pressed one. I haven't tried it yet but I will some time. Who wants to buy and bring for me in Lagos? Ah Berry, you don't have to wait for it o....It should be available in the food section of the market. Just ask for Adi dudu. Please hw much does dis coconut oil ,palmkarnel oil and casto oil cost??? 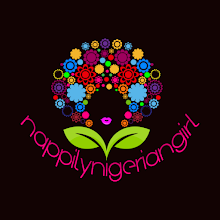 Pls check the vendors I listed or send a mail. Hmm. Okay, I will tell my supplier to send me one. Its testing the effect that will now be hard. If I like it, we might even start selling it in our store. Castor is the only oil I can say I truly love. I need to try this one. The cheapness and the fact that it's made in Nigeria are big points! I think it is called man alade in Hausa. Can't stand the smell though. Please I have a question, where do you buy palm kernel oil N50 for almost 100ml? Are you sure it is not mixed? I asked because I got it very expensive for the 100% locally produced undiluted one, it took the woman (in the east) am working with days to be able to get me 3litres and it didn't come cheap at all. No it's not mixed. Pricing in the local markets usually depends on your relationship with your 'customer'. Since I purchase most of my oils from her, the quantity I'll get for one price point may differ including the 'jara'. Also when you buy things in large quantities, the idea is you are purchasing for commercial purposes so the pricing may be higher. Oh, you mean Ude Aki? most Igbos I know have been using it since 19 gbiridim for our skin and hair, we also apply it to new born baby's soft spot on their head. I looove the oil as it is wonderful for my hair and skin, it makes me glow. Do you know of any vendors for Nigerian Black Palm Kernel Oil in the USA? I currently reside in New York City. I just got mine done traditionally by a woman who no longer see her period (menses). I was told by many that if you really want this oil to work for you, it must be done by a Virgin or an older woman who no longer menstruates. Since I got mine traditionally done for me in the right way, I have seen significant growth in my hair, my face is clearer of acne, and my skin is glowing. I also drink 1 teaspoon every other day. It's a miraculous regime. This oil is my cream.it murders wrinkles.i mask the scent withperfume.folks still think am a teenager but am 30.